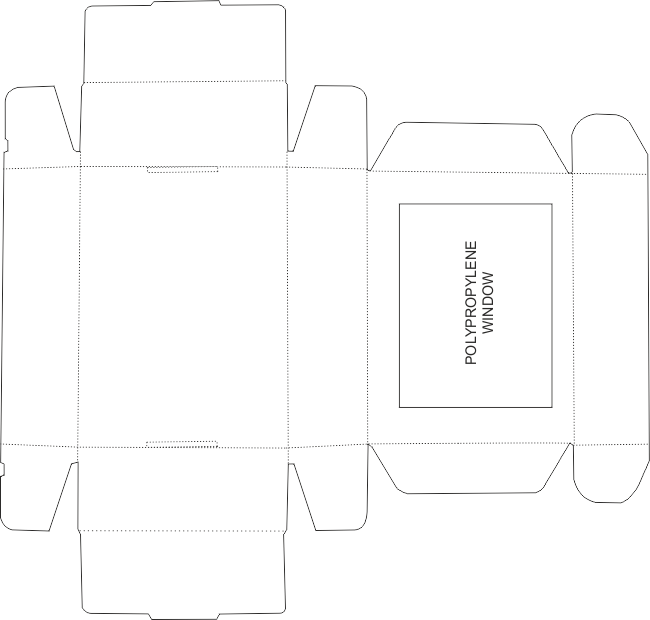 The addition of a clear polypropylene window, allows potential purchasers to see the products inside, without opening the package. Although this adds a little complexity to the net / development, a potential customer is more likely to by the product if he / she can see what is inside.. The card, polypropylene window and polypropylene insert can be recycled, giving the packaging an environmentally friendly aspect. 1. 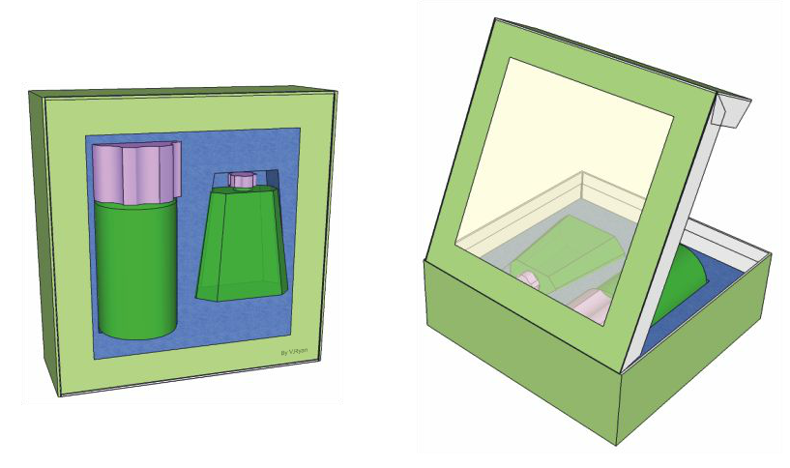 Why is a clear window often used in the packaging of perfumed products? 2. 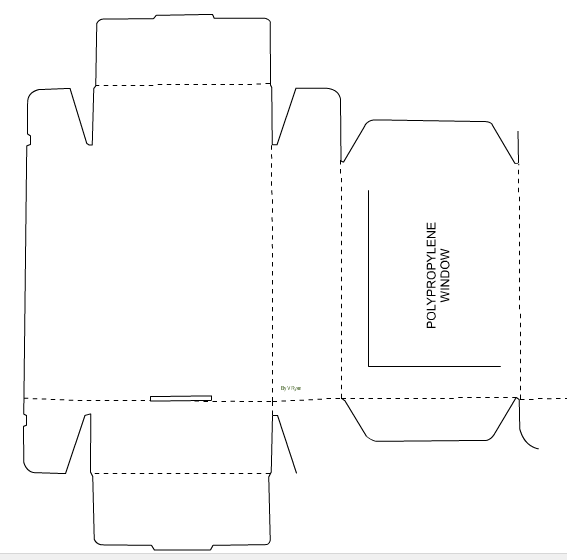 Can packaging that is composed of card, polypropylene and Expanded Polypropylene be recycled? 3. Complete the net / development of the package by adding the missing lines.